Recently, Forbes announced in 2016 the United States under the age of 40 the richest entrepreneur list, NBA star Kobe Bryant and LeBron - James selected. Among them, Kobe Bryant to net worth of $ 350 million in the 33rd place, and James to $ 275 million net worth, ranked No. 39. The list, the first is the founder of Facebook Zuckerberg, his net worth reached 50 billion US dollars, up 2.9 billion US dollars over last year. The second-ranked Dustin-Moskowitz is also one of the founders of Facebook, whose assets are $ 40 billion. Lakers star Bryant ranked No. 33 in this list, his net worth of 350 million US dollars, and now Bryant has been retired, he began to focus on his business empire. In 2014, Kobe Bryant on the establishment of the Kobe Bryant, his company in addition to planning for business activities, Bryant, will also make some investment. Before, Kobe Bryant bought a sports drink brand, in addition, when Bryant released a statement of retirement site player forum, but also his investment. This is James for the first time in this list, his net worth reached 275 million US dollars, ranked No. 39 of the list. James can be shortlisted this list, thanks to him and Nike signed a new endorsement contract, and he and the Cavaliers of the New Testament. 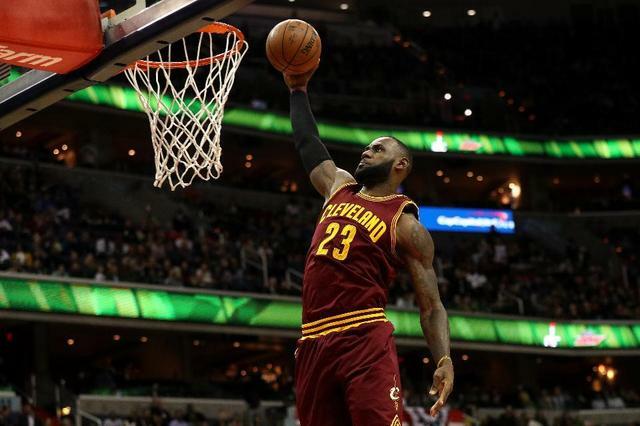 Since 2003, after the Cavaliers were selected, James's salary income plus endorsements, has more than 5.95 billion US dollars. Although the first four years of his career, James's salary is only 18.8 million US dollars, but not into the Union before, James and Nike have signed a total of 7 years worth 90 million US dollars in huge contracts. For James, the past year is a harvest of the year, he helped the Cleveland Cavaliers won the championship trophy, and Nike signed a new contract. It is reported that the new commercial endorsement contract total value of more than 1 billion US dollars. In addition, this summer, James and the Cavaliers completed the contract, the two sides reached a 3-year total value of $ 100 million contract. Which also made him a Jordan and Kobe Bryant, the third annual salary of more than 30 million US dollars of the players. Because James's influence, his value in the off-site business endorsements, even more than his salary income earned even more. In addition, James also invested in the restaurant industry, founder of the brokerage firm, operates its own brand, has its own business empire. Recently, the media reported that, in order to pay tribute to Muhammad Ali, James will be the United States and the famous director HBO and Anthony - Fauqua filming documentaries, and James will serve as the documentary producer. It is worth mentioning that, James is also actively involved in charity.